Looking for a place to connect with your neighbors, have fun, make a joyful noise, and make a difference? Come sing with us! 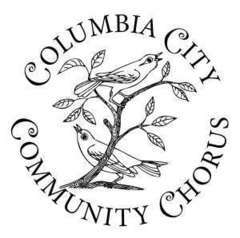 The Columbia City Community Chorus spring session starts Tuesday April 23 7:30-9pm downstairs at the Columbia City Church of Hope, 3818 S Angeline St.
We also have a Children's Chorus. The Columbia City Community Chorus welcomes people of all ages and musical training to come together in a fun, inclusive and spirited singing community. There is no audition, and no singing experience is required, just a desire to sing in harmony with others. The CCCC's guiding philosophy is that singing is a deep expression of our humanity, and singing together opens hearts and builds community. Our repertoire reflects the rich cultural mix of our 98118 zip code (one of the most diverse in the nation!) and the soulful inspiration of director and composer Kathleen Tracy. Rehearsals take place on Tuesdays 7:30-9p at the Columbia City Church of Hope 3818 S Angeline St.